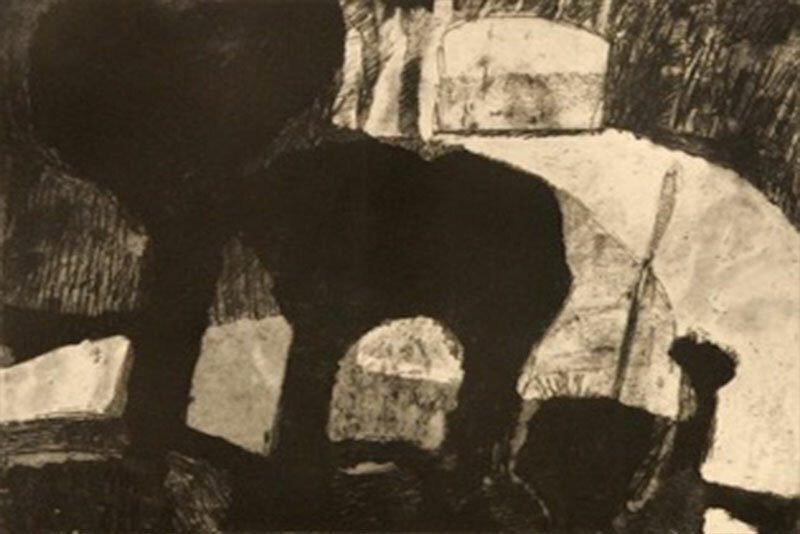 Habitation, 2009, intaglio, 50 x 70cm. Hope, 2017, intaglio, 38 x 28cm. Our Lady of Sorrow, 2017, mixed-media,100 x 70cm. 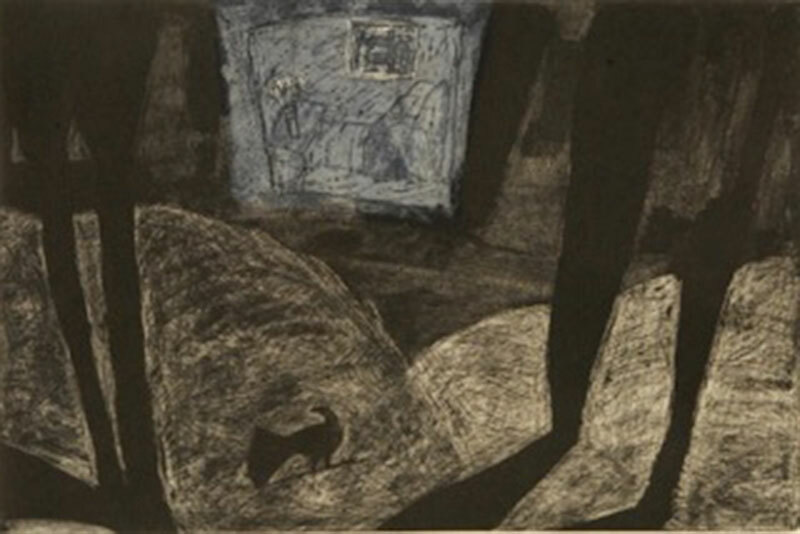 Under the Shadow, 2011, intaglio, 70 x 50cm. Rafael Butron trained as a painter/printmaker awarded a BFA from the City Art Institute and a Masters of Art from University of NSW COFA, including a Dip Ed at University of Sydney. He is currently co director for Gripeditions Fine Art Limited Editions. Rafael has exhibited in group and solo shows from the mid 1980’s, with work featured in various exhibitions in Sydney and New Zealand, including exchanges with Thailand, Norway and Chile. His work is held in private collections and institutions such as University of Western Sydney, University of NSW and National Gallery of Australia.